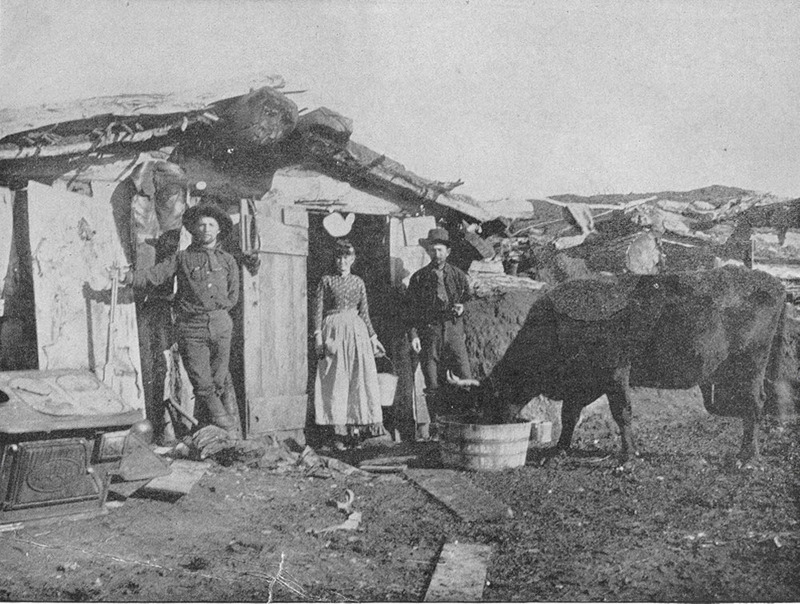 This is a photograph of a pioneer homestead in the Oregon Territory, taken around 1890. 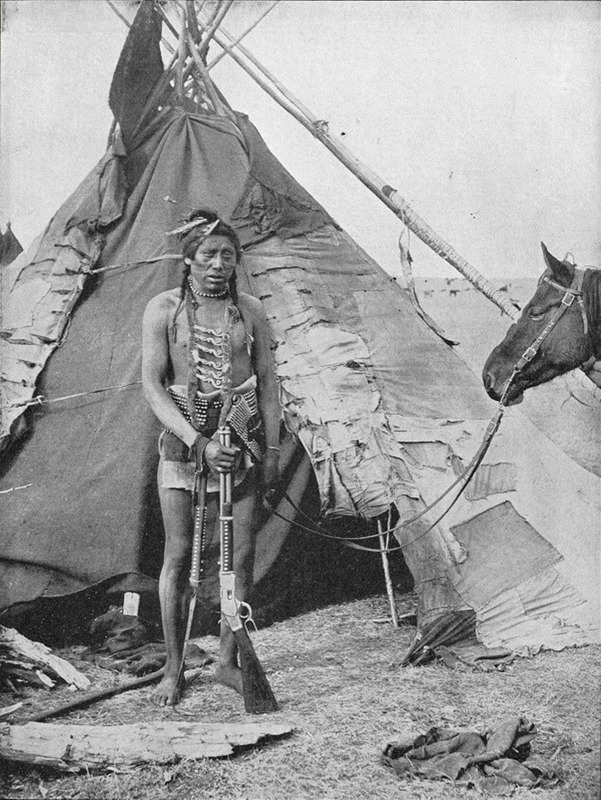 The west had not yet been tamed, and American settlers faced hostile Indians and outlaws. Here we can get a glimpse into the kind of hardscrabble existence that these pioneers lived. The man on the left is holding his rifle, a necessity in the Old West. The woman and the man on the right stand near the door of their home, a ramshackle hut made from rough lumber and odds and ends of whatever they could find. It looks extremely small and cramped. There are no windows to be seen and if there were any they would have been small and likely without any glass panes. There is a little path made out of wooden planks leading to the door of the house, so that they don’t have to walk through the mud. For some reason there is a metal stove sitting at an angle outside of the house, which may be because they had just recently arrived and had not yet had time to install it. Their prized possession, a dairy cow, is eating from a bucket next to the house. In the background you can see piles of odds and ends, including some lumber. The roof of the house seems to be a tarp. Can you imagine living through a harsh winter in a house like that? Yet the people in the picture are proudly posing next to their “mansion”. We can guess that they were proud of the freedom and self reliance that they could find on the American frontier. This is a wonderful glimpse into a bygone part of American life.